With a wealth of experience and knowledge, our umbrella solution is committed to ensuring that you are paid in an accurate and timely manner. The ICS Umbrella solution is underpinned by jargon-free advice from our friendly and passionate team. Dependent on the length and value of your contract, operating through an Umbrella Company is the hassle-free way of working. An Umbrella solution is the preferred option if you are just starting out as a contractor, or just simply looking to provide your services over a short-term period. Legislation and expectations are constantly evolving for contractors. 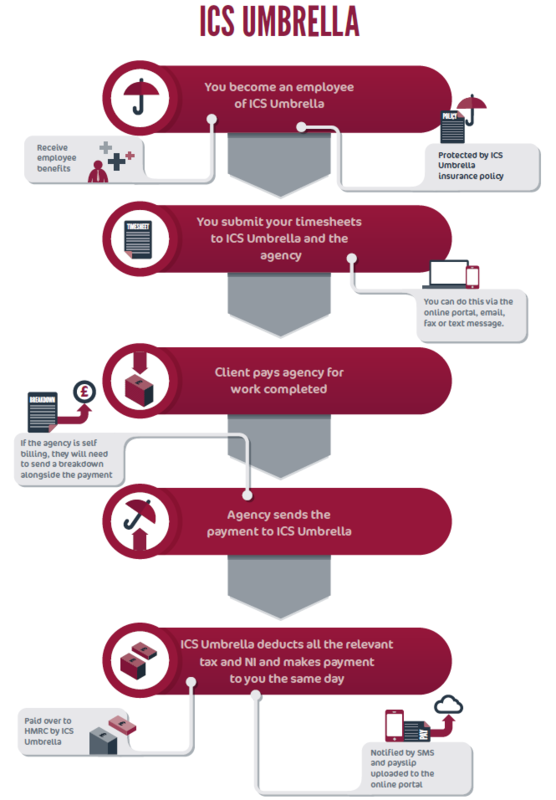 At ICS, we are one step ahead and adopt a proactive approach to our umbrella company solution, ensuring that you are always receiving the best possible care and control of your money. Built on a philosophy of trust, care and compliance, ICS are fully compliant with Agency Worker Regulations (AWR) which ensures that all clients under the umbrella solution are auto-enrolled into a pension scheme. Furthermore, IR35 is a crucial piece of legislation for all practices here at ICS, and as part of an umbrella company, this will mean that if your contract is ‘inside IR35’, your earnings are considered the same as those under full-time employment. This results in the same deductions of tax and NI and means that an umbrella company would likely be the best solution for that specific contract. We understand that your take-home pay and compliance with legislation are the most important factors to you. Joining ICS Umbrella ensures that your work is covered by our comprehensive professional indemnity, public and employer’s liability insurance policies to put your mind at ease and reduce any stress. 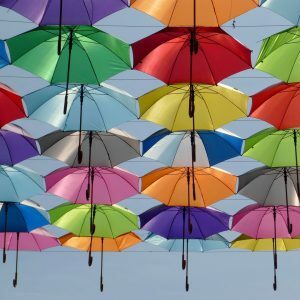 Being paid through an umbrella company is generally, but not exclusively relevant to contracts that are shorter than a 6-month period and less than £15 per hour. It can be ideal for first-time contractors and those that may be unsure as to whether they will contract in the longer-term. This type of employment may be more suited to your personal circumstances and preferred by you, but it may also be more applicable to the sector in which you work. If you're looking to contract for the long-term, you may want to explore our limited company option. For more information, read our guide to contracting for general advice or call our team on 0800 195 3750 to discuss your options. At ICS we specialise in offering contractor services, such as a wide range of contractor accountancy</a>, administrative and tax advisory services to ensure you and your limited company</a> are operating in a compliant manner.